If one of your goals is to slow down or reverse the aging process then you should definitely check out the DMK facial. The DMK facial is not your normal average facial but it is an enzyme treatment therapy which is designed to make the skin more vibrant and healthier by rebuilding its core strength. It enables the skin to function as it did when it was younger. The skin depends on healthy functioning blood vessels and a rich supply of blood in order to transport blood to the skin cells. The DMK facial treatment causes the blood vessels to dilate allowing them to increase the supply of oxygen rich blood to the skin hence nourishing it. The DMK facial treatment in Dubai & Abu Dhabi enables the facial muscles to become stronger by stimulating them hence giving the face a more youthful appearance. 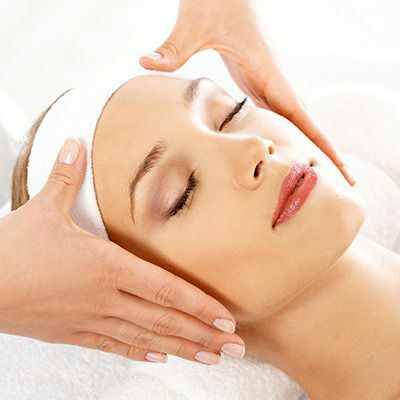 The treatment tightens and tones the facial muscles by exercising them. This results in a smoother, firmer and tighter skin. This is the blood filtering system of the body. It consists of a network of lymph, lymph vessels and lymph nodes which are found throughout the body. The DMK facial helps out the lymph nodes with the drainage effect which when it is going on the client will feel it as the tightening and pulsating of the enzyme masque. This induces the Plasmatic effect which is the rush of fresh oxygenated blood within the skin due to the dilated capillaries. The effect can literally be seen on the neck and face. Decreases the appearance of wrinkles, sagging skin and fine lines. This is a skin fitness regime which takes 12 weeks and it is highly effective. It restores the skins health to its peak and reverses the signs of aging. The treatment removes redundant dead skin cells while at the same time strengthens and tightens the facial muscles. It also reduces redness on the skin and works from the cellular level of the skin. This is an age management treatment designed to slow down the signs of aging from manifesting rapidly. It firms and lifts the skin instantly while banding the facial muscles. This type of treatment not only works on face but can work anywhere on the body. It is designed for the treatment of specific areas of the body. This treatment helps the skin to function at its peak while at the same time contours and firms the body. It tightens loose skin as well as smoothes out bumps, wrinkles and evens uneven skin tone. The DMK facial treatment in Dubai & Abu Dhabi is based on holistic healthy skin and it is designed to help the skin function at its peak. You Don't want to Miss Our Offer on DMK Facial . Fill in The Form To Avail Our Special Offer For You!